syncer closed T164: Create image for MicroSoft Azure as Resolved. syncer edited projects for T164: Create image for MicroSoft Azure, added: VyOS 1.2 Crux (VyOS 1.2.0-EPA3); removed VyOS 1.2 Crux (VyOS 1.2.0-EPA2). syncer edited projects for T164: Create image for MicroSoft Azure, added: VyOS 1.2 Crux (VyOS 1.2.0-EPA2); removed VyOS 1.2 Crux ( VyOS 1.2.0-EPA). syncer edited projects for T164: Create image for MicroSoft Azure, added: VyOS 1.2 Crux ( VyOS 1.2.0-EPA); removed VyOS 1.2 Crux ( VyOS 1.2.0-rc11). dpaiha added a watcher for Hyper-V/Azure Support: dpaiha. syncer edited projects for T164: Create image for MicroSoft Azure, added: VyOS 1.2 Crux ( VyOS 1.2.0-rc11); removed VyOS 1.2 Crux (VyOS 1.2.0-rc10). syncer edited projects for T164: Create image for MicroSoft Azure, added: VyOS 1.2 Crux (VyOS 1.2.0-rc10); removed VyOS 1.2 Crux (VyOS 1.2.0-rc9). syncer edited projects for T164: Create image for MicroSoft Azure, added: VyOS 1.2 Crux (VyOS 1.2.0-rc9); removed VyOS 1.2 Crux (VyOS 1.2.0-rc8). syncer edited projects for T164: Create image for MicroSoft Azure, added: VyOS 1.2 Crux (VyOS 1.2.0-rc8); removed VyOS 1.2 Crux (VyOS 1.2.0-rc7). syncer edited projects for T164: Create image for MicroSoft Azure, added: VyOS 1.2 Crux (VyOS 1.2.0-rc7); removed VyOS 1.2 Crux (VyOS 1.2.0-rc6). syncer edited projects for T164: Create image for MicroSoft Azure, added: VyOS 1.2 Crux (VyOS 1.2.0-rc6); removed VyOS 1.2 Crux (VyOS 1.2.0-rc5). syncer edited projects for T164: Create image for MicroSoft Azure, added: VyOS 1.2 Crux (VyOS 1.2.0-rc5); removed VyOS 1.2 Crux (VyOS 1.2.0-rc4). syncer changed the subtype of T138: Cloud Auto VPN feature from "Task" to "Feature Request". syncer moved T498: Enable UDF support in kernel from Needs Triage to Finished on the VyOS 1.2 Crux (VyOS 1.2.0-rc1) board. syncer edited projects for T164: Create image for MicroSoft Azure, added: VyOS 1.2 Crux (VyOS 1.2.0-rc4); removed VyOS 1.2 Crux. dmbaturin edited projects for T138: Cloud Auto VPN feature, added: VyOS 1.3 Equuleus; removed VyOS 1.2 Crux. syncer reassigned T164: Create image for MicroSoft Azure from dmbaturin to UnicronNL. syncer reassigned T164: Create image for MicroSoft Azure from UnicronNL to dmbaturin. syncer closed T308: Build WALinuxAgent as Resolved. syncer closed T308: Build WALinuxAgent, a subtask of T164: Create image for MicroSoft Azure, as Resolved. syncer edited projects for T308: Build WALinuxAgent, added: VyOS 1.2 Crux (VyOS 1.2.0-rc1); removed VyOS 1.2 Crux. dmbaturin moved T138: Cloud Auto VPN feature from Need Triage to Wishlist on the VyOS 1.2 Crux board. c-po closed T498: Enable UDF support in kernel, a subtask of T164: Create image for MicroSoft Azure, as Resolved. c-po closed T498: Enable UDF support in kernel as Resolved. c-po added a comment to T498: Enable UDF support in kernel. UnicronNL added a comment to T498: Enable UDF support in kernel. only need Jenkis up to build te kernel. syncer created T498: Enable UDF support in kernel. higebu added a comment to T164: Create image for MicroSoft Azure. @ebob9 Thank you! It's very helpful. ebob9 added a comment to T164: Create image for MicroSoft Azure. WAAGENT can't ever report provision success to azure. Greeny added a watcher for Hyper-V/Azure Support: Greeny. 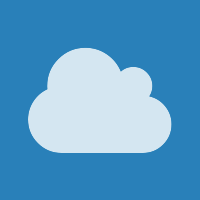 MoyHaj added a comment to T164: Create image for MicroSoft Azure. @higebu thanks for sharing! I was just able to make it work on Azure just last week, yaay :) Thanks though! Hi, can you please share the VHD file as well? and walinuxagent is running on it. I'm checking walinuxagent status. syncer added a comment to T308: Build WALinuxAgent. winpisces added a watcher for Hyper-V/Azure Support: winpisces. syncer added a comment to T164: Create image for MicroSoft Azure. syncer reassigned T164: Create image for MicroSoft Azure from syncer to UnicronNL. This options enables / disables support for provisioning by means of cloud-init. When true ("y"), the agent will wait for cloud-init to complete before installing extensions and processing the latest goal state. Provisioning.Enabled must be disabled ("n") for this option to have an effect. Setting Provisioning.Enabled to true ("y") overrides this option and runs the built-in agent provisioning code. higebu added a comment to T308: Build WALinuxAgent. syncer created T308: Build WALinuxAgent. syncer claimed T164: Create image for MicroSoft Azure. • YeongMin added a watcher for Hyper-V/Azure Support: • YeongMin. syncer placed T138: Cloud Auto VPN feature up for grabs. syncer edited projects for T164: Create image for MicroSoft Azure, added: VyOS 1.2 Crux; removed VyOS 1.1.x (1.1.8).